LAGOS JANUARY 26TH (NEWSRANGERS)-Since 1945, in the history of classical democracies, the world government under the United Nations and the African Union usually set development goals in different areas of human existence and government for member countries. From 1999 to 2014, it was Millennium Development Goals (MDGs) and now, from 2015 to 2025, it’s Sustainable Development Goals (SDGs). These SDGs according to U-Reporters are set of goals as adopted by various countries around the globe under the United Nations Development Goals (UNDGs) to put an end to poverty, protect the planet and ensure prosperity for all. These goals are mainly designed for African countries and equally adopted by the African Union for sustainable development and continuity in growth. Under the SDGs, there are different important goals set out to achieve by every member country with a limited period of ten years. That is, 2015 to 2025. The goals under the SDGs are poverty, hunger, health, education, gender, water, energy, employment, infrastructure, reduced inequalities, sustainable cities, production, climate action, life below water, life on land and finally, peace. These present “Development Goals” focused on sixteen major areas of human existence. Nigeria, as the giant of Africa was a signatory and part of this accord and covenant. But we should not forget in a hurry that this melodrama of “development goals” we want to talk about is a melange of more than a tripod. Each country runs at its own pace even though there is a time frame or benchmark as set by those two international unions. Glaringly speaking, these goals were formulated and adopted at the wake of the Buhari administration in 2015. President Buhari was part of the accord and even many of his campaign promises fell under those areas mentioned in the SDGs. However, the primary motive of this discourse is to assess Nigeria’s achievements among those goals as contained in the SDGs under this Buhari government. First, let’s start with the goal of poverty. Before 2015, the poverty level of this country was around 60 percent. What this mean is that, Dr. Goodluck Jonathan handed over power to Buhari when 60 percent of the Nigerian population was living below a dollar a day. What happened immediately Buhari took over government in 2015? Instead of Buhari to decrease the poverty rate of Nigerians, he increased it above measures. Today, Nigeria’s poverty rate is well over 75 percent. This means, over 75 percent of Nigerians are abysmally poor in every facet of good living. The rate of poverty in Nigeria today is uncontrollable by this present government. This has also boosted crime rate in the country in recent times especially in the area of ritual killings, oil buckering and other social vices. Secondly, in the area of hunger, Nigeria is a dumping ground for hungry people. Since the poverty rate is becoming higher and higher everyday, hunger too is on the increase. Many Nigerians can no longer afford a square meal a day. Have we forgotten the news on the social media recently that some parents in the northern part of the country roasted some of their children to feed for some days? This is to tell you the level of hunger in Nigeria. Thirdly, in the area of health, many Nigerians do not have access to good health by giving them adequate medical attention. Today, many of the government hospitals are just mountains of yesterday. They are caricature of vain glory, with nothing to write home about. This is why when our own president was sick, there was no hospital bed in the country to accept his thin body. He was later flown to London to seek for sophisticated medical treatment. Nigeria has the highest numbers of maternal deaths in Sub-Saharan Africa. What about child mortality rate and other epidemics that have killed many innocent Nigerians? This government finds it extremely difficult to explain to the leadership of the United Nations and the African Union, why they should be called “the giant of Africa”. Fourthly, in the area of education, this Buhari government has failed poor Nigerians. Even with all these policies on education, over 120 thousand children are lucked out of primary and basic education in Nigeria. Our cities are flooded with street children and beggars. Even in this internet age, thousands of Nigerian children in many rural communities in Nigeria cannot read and write. They have no access to formal education. Another important area we want to look at is energy. Today, there cannot be technological development in any nation without a stable and viable power supply. Nigeria has suffered poor power supply under this government than any other government since 1999. Privatizing and commercializing the power sector does not add any meaningful change to the system. Rather, it worsen its sustainability. What about employment? The Buhari government may capitalize on the N-power programmes. This has not solved the problem of unemployment in the country. Over 80 million Nigerians especially the youths are roaming the streets to look for a daily job. Tell me one reason why many Nigerian youths would not be fraudulent and virile? If the government cannot create employment for the youths, they have to create employment opportunities for themselves with whatever means. Now, let’s look at production and gender inequality. In the area of production, what can we boast of producing apart from household items? In production circles, Nigeria is still far below average. We are dependent in production. Nigeria imports more goods and services to the country than what we exports. Gender inequality in Nigeria is still very high. Even under this Buhari government, social vices against women became more pronounced than past governments. Virtually in all sectors of human existence in Nigeria, men always take the central stage while women are relegated to the background. Finally, let’s look at peace indices in Nigeria. Under this Buhari government and the time of Goodluck Jonathan, which one records more deaths as a result of crises and other forms of insecurity? Without a seer, more Nigerians died in these past three years than the eight years of Dr. Goodluck Jonathan as the president of this country. In fact, we should not take certain issues for granted. He that cries is not blind. Having assessed the various goals in the SDGs under the Buhari government, it’s now left for us to present our score card on his achievements so far. This is like the time of Olusegun Obasanjo and Goodluck Jonathan when the Millennium Development Goals (MDGs) were formulated. During that time, not much was achieved from them. Now, it’s Sustainable Development Goals (SDGs) and the echoes are on top of the roof. 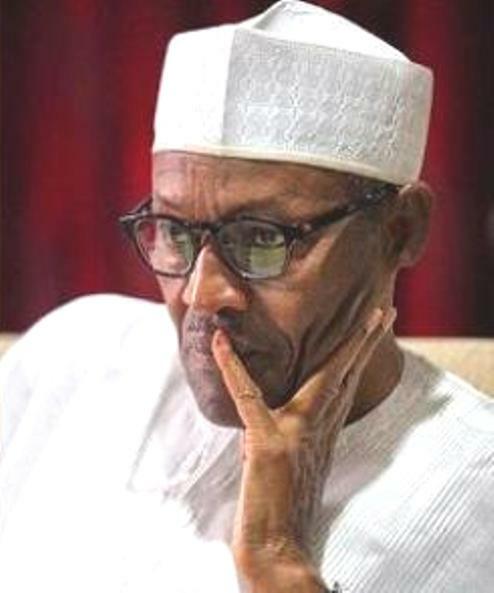 May be, Buhari couldn’t achieve much in this first tenure because of ill-health and other numerous health challenges that confronted him which he couldn’t treat in any hospital in Nigeria. This second tenure, with the new Buhari that is reformed, refreshed and rebuilt, may be, he will do more than the expectations of many Nigerians. He will definitely use his second tenure to score average in all the goals mentioned in the SDGs. Great Nigerians, let’s us again give this second chance to Buhari in 2019 since he’s now much younger and energetic to run with the tiger’s feet. This reformed and rebuilt Buhari will perform better this second tenure to the utter amazement of his rivals and opponents in government. His performance as from 2019 will lay to rest the issues of cloning and imposter in the minds of many Nigerians. As it is now, let’s join hands to go to the judgment room in 2019 to decide whether Nigeria should continue to fight with a known enemy or to sleep with one eye closed with a disguised friend. Young Erhiurhoro; Kjc is a reporter and a member of the Urhobo Historical Society.